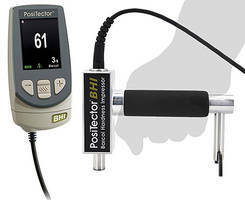 Positector BHI Barcol Hardess Impressor features a lightweight, portability with an easy reading digital display. Measurable materials include aluminum, aluminum alloys, copper, brass, hard plastics and fiber-reinforce plastic. 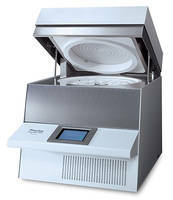 The unit is weatherproof and solvent, acid, oil, water and dust resistant. It conforms to ASTM B648/D2583, DIN EN 59 and AS/NZS 3572.22. For Immediate Release: The New PosiTector BHI Barcol Hardness Impressor Conforms to ASTM B648/D2583, DIN EN 59 and AS/NZS 3572.22. This unit measures the hardness of soft metals such as aluminum, aluminum alloys, copper, brass, and other materials such as harder plastics, and fiber-reinforced plastic. 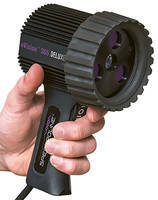 The BHI Tester is solvent, acid, oil, water and dust resistant; basically weatherproof. Shock-absorbing, protective rubber holster with belt clip and hard-shell carrying case included. 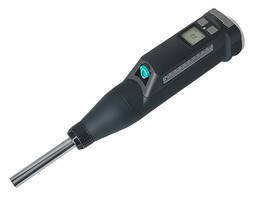 Two year warranty on gage body and probe. A Long Form Certificate of Calibration is included. Hi-Res mode increases displayed resolution for use on applications that require a greater precision. 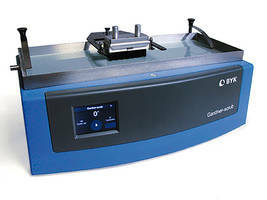 The PosiTector body accepts all PosiTector BHI, SHD, 6000, 200, DPM, IRT, RTR, SPG, SST, and UTG probes – easily converting from a hardness tester to a coating thickness gage, dew point meter, infrared thermometer, surface profile gage, soluble salt tester, or ultrasonic wall thickness gage.